Vice President of SIIS, Senior Fellow. 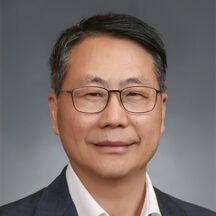 His areas of specialization include: the International political economy (IPE), China’s regional strategy in polar affaires and cyber governance. His previous positions include: Executive Vice-Chairman at Shanghai Institute for International Strategic Studies, Vice Chairman of Shanghai Society of Taiwan Studies, researcher at the Cross-Strait Relations Research Center, a member of the editorial board for the Arctic Yearbook, a member of the editorial board for Review of Policy Research, and deputy director of the department of IPE in the Institute of World Economy, Shanghai Academy of Social Sciences (SASS). He received his doctorate in economics from SASS, and his master’s degree in history from Soochow University. YANG Jian’s recent books include: New Perspectives on the Arctic Governance (Current Affairs Press, 2014), and Power and Wealth in Cyberspace (Shanghai People’s Publishing House, 2012; First Prize for Outstanding Achievement in the Book Category in the 12th Shanghai Municipal Philosophy and Social Sciences Award). He was also listed as a “Shanghai Leading Talent” in 2016.